When the Federal Reserve began cutting interest rates in January, there was little doubt about the direction it should be going. The economy was in a steep dive. Recession seemed likely. Bold action was needed soon. One of Hollywood's older multimedia companies has been sold to a startup technology conglomerate in Connecticut, claiming industry competition was too much. Automobile leasing has hit the brakes this year, as consumer demand softened and manufacturers and financing companies begin to see losses in their leasing operations. As expected, developers of the proposed downtown hotel and entertainment complex adjacent to Staples Center have asked the city for a $75 million tax subsidy. L.A. lost many of its premiere banks and savings and loans in the last decade Security Pacific, Great Western, First Interstate, Home Savings, to name a few. India has some of the largest studios in the world. It makes more movies per year than Hollywood. It has a growing talent pool of actors, directors and producers. And producing films there could reduce U.S. studios' costs by up to 40 percent. Tribune Co. is pledging to keep its struggling Times Community News division going despite the sudden departure of two top TCN officials amid a companywide effort to stave off falling revenues through an early retirement program and layoffs. Having once gotten the nod to eclipse Westwood's six-story height limit by building nine-story and 14-story buildings on an acre-plus site, developer Richard Weintraub is back before the city seeking another height variance. Rep. Henry Waxman (D-Los Angeles), in a letter to Secretary of Veterans Affairs Anthony Principi, has urged rejection of a plan for the development of the VA's 388-acre Brentwood campus. Congress has cobbled together the strangest, most reckless, most well hilarious estate-tax law ever. Laughter is the only rational response. In another sign of a deeply divided state Republican Party, an executive search firm has been hired to find a new administrator. How does a guy who spends most of his days in dirty shorts and a T-shirt become the toast of the financial media circuit and a trusted source on information for members of Congress? The share price of Stamps.com Inc. has become an easy target for ridicule. "It's worth less than a stamp," is the oft-repeated joke. A proposal to build a biotech park in Pasadena to support that city's nascent industry is in jeopardy. By July 3, six new members will have been sworn in to the L.A. City Council, making for the largest freshman class in the council's 150-year history. It took three days of auditions and 90 actors for Encino-based Kalmenson & Kalmenson Voice Casting to find the perfect sounds for talking Harry Potter toys. Gas station owners' attempts to boost their profit margins after a tough spring are keeping Los Angeles pump prices high even as drivers in the rest of the nation start to see a substantial drop in the cost of gasoline. Goal: To reach $250 million in gross billings by 2005. To convince mainline adverters to use a portion of their media budget for direct response. As Rupert Murdoch's News Corp. closes in on a deal for Hughes Electronics Corp. and its subsidiary DirecTV, employees at the El Segundo satellite TV provider could be in for a rough ride. With the end of the second quarter nearing, it's a good time to look for bargains among stocks that have been banged up since March. Los Angeles County lenders are seeing record-setting mortgage loan activity spurred by a rise in refinancings. Mayor Richard Riordan has picked up support from several fellow Republicans, including some conservative GOP members from Orange County in a possible bid for governor. Bankers don't have to wait for official word on an economic slowdown. They see the sobering news every day in their commercial loan portfolios. A steady diet of energy hikes has restaurant owners raising or preparing to raise their menu prices, an alternative to tacking on a 2 to 4 percent energy surcharge that some were considering placing on bills. Making planes take off and land on time, traffic flow more easily, luggage arrive on the right flight. Those might seem to be the greatest challenges for an airport executive. Many mortgage-bond investors, battered in March by a wave of refinancings, are concerned falling interest rates will prompt another round of homeowners to refinance their loans. Money market rates, usually the bottom of the barrel as far as paid interest is concerned, are closing in on and in some cases exceeding the rates paid for certificates of deposit. A high-stakes showdown looms this week over the right of major industrial companies in California to choose their own power providers. Commercial lending among local financial institutions is beginning to reflect a nationwide slowdown. As the local economy slows, the level of debt being carried by L.A.-area consumers and businesses becomes a topic of increasing importance and intrigue. There has been considerable industry debate about whether Miramax Films is turning its back on the kind of upscale "specialty" fare like "The English Patient" that made its name, but nobody denies co-chairmen Bob and Harvey Weinstein's eye for a winner. A $43 million deal for 1,659 acres adjacent to Topanga State Park could ensure preservation of parkland stretching from the Santa Monica Mountains to the Pacific Ocean. Now that it's over, I find myself wondering if it really is. Or might it not be said in some sense that Timothy McVeigh cheated the death penalty after all? TRW Inc.'s Carson-based Tactical Systems Division has begun the concept design of Future Combat Systems, a state-of-the-art array of sensor-based unmanned military hardware operated by a far-away command and control vehicle. If two of the most important people in a business are the owner and the customer, then every mutual fund investor is a VIP twice over. From "The Pied-Pipers of Wall Street: How Analysts Sell You Down the River" & #352;2001 by Benjamin Mark Cole, Published by arrangement with Bloomberg Press. The 60-year-old Inglewood resident had been on leave without pay from her U.S. Postal Service job to deal with a diabetes diagnosis. And now she was about to tap into $50,000 worth of equity at one of her rental properties to dig herself out of debt. Funky office space hailed as recently as a year ago as being de rigueur for the truly happening L.A. business has become a white elephant. Long Beach online education company Kiko Inc. received $8 million in second-round financing last month, and in a bid to reach profitability, it is using the funds to shift its focus away from academic learning. Michael Polis could make or break the likes of Elmo, Kermit the Frog and Cookie Monster. The economy gets hot, the economy cools off, but always the vast sea of middle-market companies in California need M & A; advice or lately, some suggestions on how to keep the debt wolves at bay while finding new capital. The Northridge earthquake shook L.A. to its core on Jan. 17, 1994, and for one company the aftershocks are only now subsiding. Seven years after "Beverly Hills Cop III," a fourth installment in the Paramount Pictures' series may be coming to the screen. Yes, the rumors are true. Most of the new tax cuts do go to higher-income people. Among the scraps, there's a little something for moderate earners and almost nothing for the working poor. Funding promised to the San Fernando Valley for transit improvement projects is said to be secure, despite state budget threats resulting from the ongoing energy crisis. Public school districts throughout Los Angeles are preparing to cut their budgets or dip into reserves to offset rising energy bills. When John Hazlewood told one of his advisers that he was planning to hire a team of Bulgarians to build and operate his online travel company, "he thought I had totally lost it," Hazlewood recalls. For years, state Assembly Speaker Robert Hertzberg, D-Van Nuys, has slipped Yiddish expressions into his speech and often got blank stares. So earlier this month, he decided to compile a Yiddish dictionary for his colleagues. The appetite for European imports, such as cars, wine and antiques, is growing in the Western U.S., and that's boosting cargo at the Los Angeles and Long Beach seaports. James Hahn pulled down more than 80 percent of the African-American vote in his election victory earlier this month, the highest proportion of a single ethnic block in Los Angeles. Without such support, he might have lost. Over the last month, I've dealt with three different attorneys about issues with my office space. When John Templeton, one of the legendary investors of the second half of the 20th century, was a young man, he pulled off a wild stunt. The L.A. Zoo isn't the only place in town where celebrity gains access or wealth generates perks. The Los Angeles Unified School District must pay more than $17 million for breaching contracts with the developer, contractor and architect of the unfinished Belmont Learning Complex, an arbitrator ruled. It took a year in the dot-com trenches for Peter Gumbel, among the elite in business journalism, to pick up on something he might have observed sooner if he had stayed at the Wall Street Journal. In an effort to cut costs, Los Angeles apparel designer Guess Inc. has licensed out its fledgling children's clothing line. In a report released last week by the L.A. Economic Development Corp., the county's $352 billion economy would rank 16th in the world if it were a separate nation. Nightclub entrepreneur Rande Gerber confirmed he would be taking over operations of the bar at the W Hotel in Westwood this summer. Microsoft has made most of its money by embracing rival technologies, twisting them to suit its needs and using its market strength to grind the original into the dust. Local transportation officials are set to vote next week on two controversial transit projects that would connect Downtown to the beach at a cost of up to $1 billion. 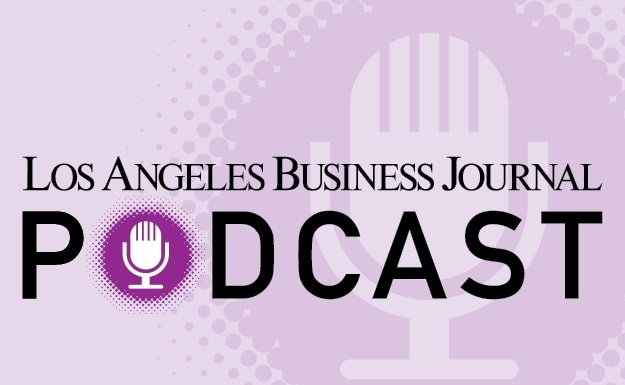 The Los Angeles Business Journal was the recipient of several journalism awards at two separate events June 9. A century and a half of managing other people's money hasn't made U.S. Trust Corp. afraid to take a risk. An out-of-court settlement between cruise ship operator Carnival Corp. and the Surfrider Foundation has cleared the way for Carnival to build a terminal adjacent to the Queen Mary in Long Beach. Balloon lights, which are helium-filled globes with light bulbs that can dispense a soft glow while floating overhead, have been popping up everywhere these days. Radio stations throughout Los Angeles are sharply expanding the amount of airtime devoted to advertising, as a softening ad market is resulting in lower ad rates that requires stations to sell more time to meet revenue goals. Come August, international travelers arriving at LAX can forget the expensive roaming charges they incur on their cell phones. If downtown Los Angeles becomes the vibrant urban hub of cultural attractions, Vegas-sized conventions and hopping entertainment districts, as seems increasingly likely, far more visitors will undoubtedly descend on the area. With the $2.4 billion Alameda Corridor on track to be complete by next April, a number of industrial developers are reshaping downtown's industrial landscape in preparation for the surge in cargo shipments that will soon begin rolling through the area. Two-year-old Los Angeles software company 3Ga Corp. has designed a breakthrough product called 3G.web.decisions 2001 that it says will help dramatically lower the price of a wide variety of industrial products. On Wall Street, there are times it pays to be one-dimensional, and times when it pays to be flexible. In the 1990s, for example, sticking resolutely to tech or blue chip stocks beat just about any other investment scheme, no matter how fancy. If Antonio Villaraigosa decides to run for higher office, he already has some symbolic support from an unlikely place: supporters of his opponent and Mayor-elect James Hahn. The new tax law is stuffed with welcome changes to America's retirement plans. My desk is strewn with summaries listing all the new choices that savers might have. System Property Development Co. Inc. might be giving up one downtown redevelopment project to get into a grander one right next door. Some say it's worth meeting with everyone, because you never know what you'll learn from the encounter. The L.A. City Council's May 29 decision to allow rezoning of a Westside tract of industrial land for a 309-unit apartment project has ignited a squabble over whether jobs or housing should get preference as the supply of developable land dwindles. The fate of Emap USA may be determined as soon as this week, as its parent company takes final bids from firms wanting to buy the magazine publishing empire. While he has been in business downtown for only a month, Dan Maughan already knows he made a good choice. By most measures, any businessman whose interests include an office development with David Geffen, a Holsteiner horse breeding operation and a Hollywood production company ought to feel successful enough. A showdown between Hahn, who doesn't even get sworn in until July 1, and Gov. Gray Davis over L.A.'s municipal power is emerging. And it threatens to poison relations between the incoming mayor and the embattled governor for months to come. Career Turning Point: Learning about development opportunities in the inner city while regional director for Grubb & Ellis Co.
Just months after clothier Tommy Hilfiger Corp. pulled the plug on its gargantuan custom-built Rodeo Drive flagship store, Prada is preparing to begin construction of a similarly massive flagship on the famous Beverly Hills shopping street. June 5 was not a good day for former and current elected officials seeking office in L.A., especially those from Sacramento. Local aviation services company Mercury Air Group has filed to undertake an initial public offering as a means of spinning-off one of its operating divisions as an autonomous public company to be based in Los Angeles. Korean banks in Los Angeles, which for decades have peacefully co-existed by focusing on their own respective niches within the 800,000-person Korean-American community, suddenly are initiating aggressive acquisition drives. To many developers looking to build in the city of Los Angeles, the employees of the city's planning and building and safety departments are merely faceless bureaucrats behind a counter. The reinvention of downtown L.A. is no longer mere talk or dreams, it's a reality in the making. When Jason Fergerstrom became the leasing consultant for Bunker Hill Towers four and a half years ago, he had no experience in leasing or in residential real estate. Korean automakers have staged a dramatic turnaround in Los Angeles, as consumers are snapping up cars from local dealerships in volumes not seen since the 1980s. Westlake Village-based NetZero Inc., one of the nation's largest Internet service providers, unveiled a new television ad campaign last week it said would further blur the lines between content delivery on old and new media. Boeing Co. announced it has won a $1.5 billion contract from the U.S. Air Force to overhaul the cockpits and electronics systems of the widely used C-130 Hercules military cargo aircraft. Riding a wave of unprecedented organizing victories at Los Angeles County hospitals, the California Nurses Association is forming a new, more militant national nurses' organization with a heavy emphasis on unionizing. The Pacific Maritime Association has filed an unfair labor practices grievance against local dockworkers for their refusal to complete implementation of an automated dispatch system. Shunning its high-risk Internet approach to business, Torrance-based computer reseller PC Mall Inc. is boosting its bottom line and stock value by transitioning into more traditional marketing channels. When the National Basketball Association finals get underway at the Staples Center this week (June 6), both L.A. and the Lakers stand to profit from the exposure. In 1969, a fellow named Ira Cobleigh published a book titled "Happiness Is a Stock That Doubles in a Year." When it comes to the nascent renaissance of downtown Los Angeles, the areas grabbing all the headlines are Bunker Hill, the historic core and the neighborhood around Staples Center. But another neighborhood is emerging as an equally powerful force. There is a growing likelihood that the B-2 Stealth Bomber program, which was a powerful L.A.-area economic force until it was ended last summer, will be put back into production soon, according to Pentagon and aerospace industry officials. With the Fed cutting interest rates and tax refund checks all but in the mail, one might suspect that investors would be comforted. Not in Los Angeles. Two local businessmen have poured more than $1 million into a minor league baseball franchise and are projecting profitability within three years, despite a failed baseball history and increased competition for sporting dollars. A mystery is unraveling on the outside walls of the Los Angeles Center Studios, a complex of new sound stages in downtown Los Angeles. MEDIA---Ethnic Publications Thriving in L.A. While daily newspapers are struggling to post circulation gains, the city's foreign-language newspapers are flourishing, thanks to the burgeoning population of immigrants. Don't get me wrong: I'm sure Massachusetts is as screwed up as any other state. Probably has all sorts of problems. After a decade spent as a professor at the UCLA School of Law, Daniel Bussel is moving from the classroom to the courtroom to practice what he's been teaching. Broadcasters, ignoring recent census data showing the country is aging rapidly, are trotting out new programming this fall geared at younger and younger audiences. Bond markets have always been segmented, but there is a particularly sharp division going on in the world junk bond scene that between troubled telecom corporate IOUs and most other high-yield bonds. It took President Bush four months to make his inaugural trip to California, and Mayor Richard Riordan slyly let him know he could not have picked a more inopportune time. Cahners Publishing, the American publishing company of Amsterdam-based media giant Reed Elsevier Inc. and publisher of the Hollywood trade paper Variety, has laid off 140 employees, or about 3 percent of its U.S. workforce of 4,800. As the population ages, Medicaid spending on nursing homes could easily lurch out of control. That is, unless it's limited to the people who really need it. With biotech pioneer Alfred Mann's announced $3.28 billion sale last week of his Northridge-based MiniMed Inc. and a related company to Medtronic Inc. of Minneapolis, L.A.'s roster of home-based companies continues to dwindle. Even before the Los Angeles Lakers begin action in the final round of the NBA playoffs, local retailers are big winners. Call it the Fund Performance Games, with results posted not just annually and quarterly but every month, week and day. Big Blue's local outfit has been ramping up, unveiling an array of high-tech products that it is targeting at the entertainment and media industry. Musical chairs in a market with, by some estimates, a couple million square feet of sublease space available can be an interesting game. Former Warner Bros. co-chairman Terry Semel, now chief executive of Yahoo Inc., has been granted a 10 million share stock option package, the value of which will be pegged to future performance of the struggling Internet giant. Several of L.A.'s major cultural institutions are banding together to form a marketing roundtable, hoping to increase attendance by pooling their ideas and resources. L.A.'s apparel manufacturers and contractors dependent on a quick turnaround to produce trendy apparel and fill orders rapidly are worried that rolling blackouts this summer will endanger their business at a time when apparel sales are sagging.